A call to conservatives: JOIN US! Tonight the University-Rosedale EDA had the pleasure of hosting Michael Chong, MP for Wellington – Halton Hills, and candidate for leadership of the Conservative Party of Canada, at the home of Board member Doc von Lichtenberg and his partner Keith. We also had the pleasure of meeting Michael’s wife, Carrie Davidson, at tonight’s event. Our thanks to Doc and Keith for opening their home for this event, and for the effort that they put into making the evening a success, both as a fundraiser for the University-Rosedale EDA, and as an opportunity for conservatives to get together, exchange ideas, and listen to a knowledgeable visitor from Ottawa. MP and former Cabinet Minister Michael Chong, now running for the CPC leadership, advocated enthusiastically for a conservative vision that focused on strategies for economic stability and future success in a changing and challenging world, and a fiscally rational strategy for environmental management. He has been, and from his words tonight, clearly will continue to be, a champion for democratic reform which will put more power in the hands of elected House of Commons members and reducing the power of the Prime Minister’s Office. A practical plan for Senate reform was mentioned, and his inside knowledge of how Ottawa works makes his words worth taking seriously. Mr. Chong ably and directly answered a number of questions from those in attendance, and there was a great back-and-forth. We had about 40 guests, and as usual, young conservatives were well represented (we don’t think they just came for the free food). Before and after the speeches, including an introduction from our Board president Keith Tuomi, and a lesson in history and political philosophy from the legendary Karim Jivraj, we all had a chance for some face time with Mr. Chong, to get an idea about where he stands on the issues that concern us most. This is one of the best reasons to come to these events. 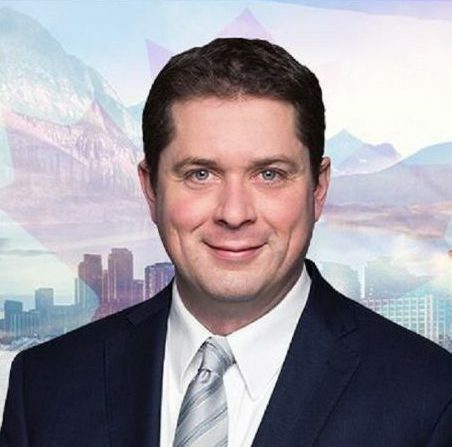 This man may one day be Prime Minister of Canada. Stay tuned for future events with the CPC leadership candidates. Kellie Leitch will be here on November 23, and we had Maxime Bernier visit in May. Remember, these events are fundraisers for the EDA, not for the individual candidate, so you can support your local conservatives while at the same time gathering the information you need to help make your important decision in May of next year. It’s surely better to make that decision based on meeting these individuals in person than based on the distorted information you get from our media. See you at the next local event, and make sure you are a CPC party member in the next year so you can vote for our next leader!